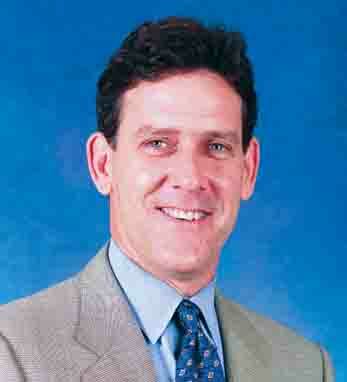 As Executive Vice President, Business and CEO of Major League Baseball Enterprises, Inc., Tim Brosnan oversees all domestic and business functions of Major League Baseball’s Office of the Commissioner, including licensing, sponsorship, domestic and international broadcasting, special events and MLB Productions. Brosnan joined the Office of the Commissioner in 1991 and was quickly promoted to Chief Operating Officer of Major League Baseball International. In his current position he oversees the multi-billion-dollar enterprise that baseball advertising and promotion has become. Brosnan foresees the day when countries including Ireland will play in the World Baseball Classic, an equivalent to soccer’s World Cup. A second- generation Irish-American whose grandparents came from counties Kerry and Sligo, Brosnan has visited Ireland many times and even taken in a game in Dublin where Peter O’Malley, former chairman of the Dodgers, gifted a baseball field. Tim resides in Westchester County with his wife, Claire O’Brien, and their three children, Helen, Kevin and Charlotte.